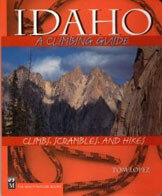 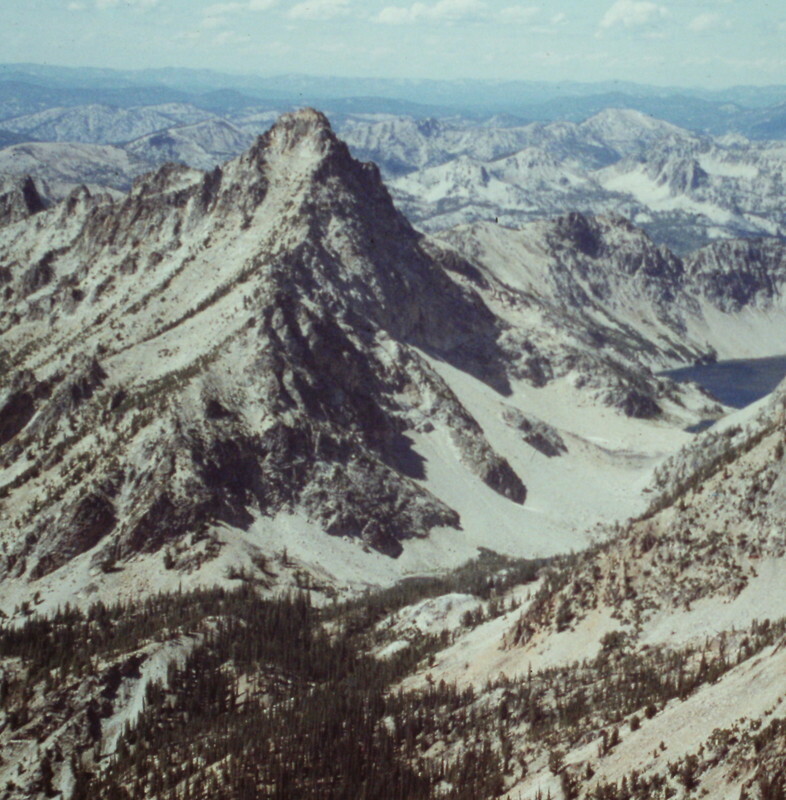 Climbing and access information for this peak is found on pages 159 to 160. 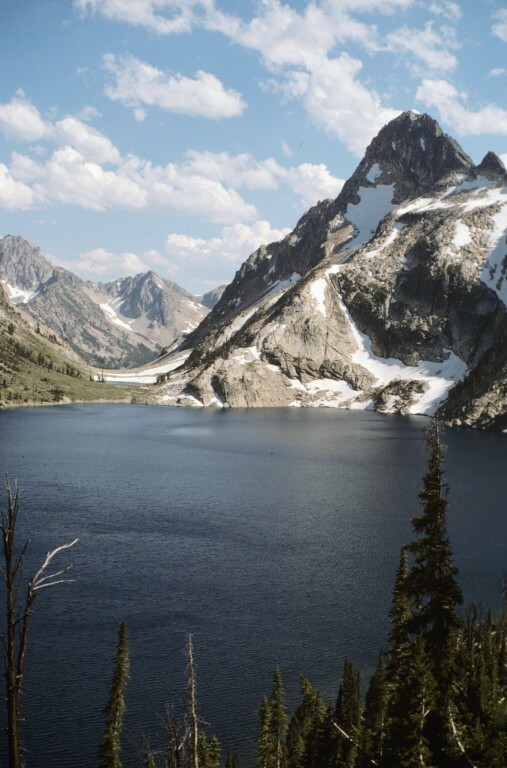 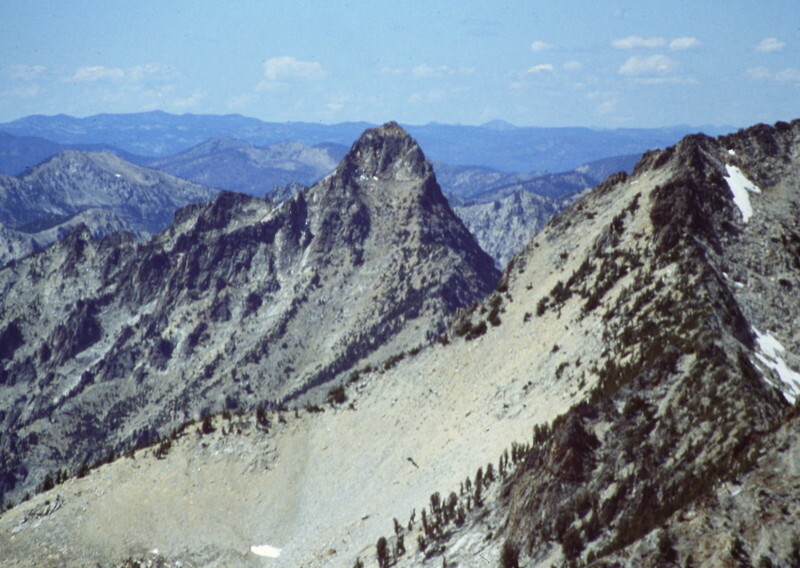 Mount Regan is perhaps the most photographed of all Sawtooth peaks. 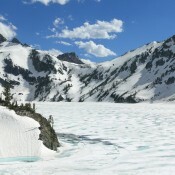 Its northwest face has graced dozens of calendars and book covers. 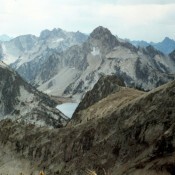 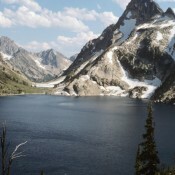 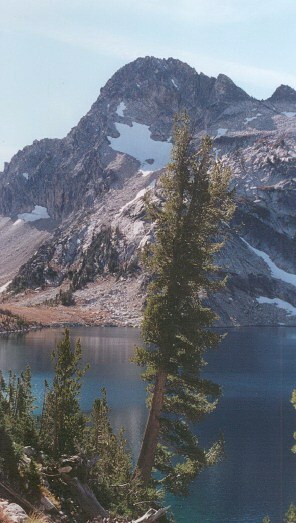 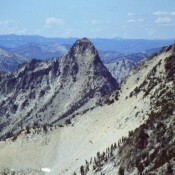 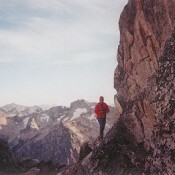 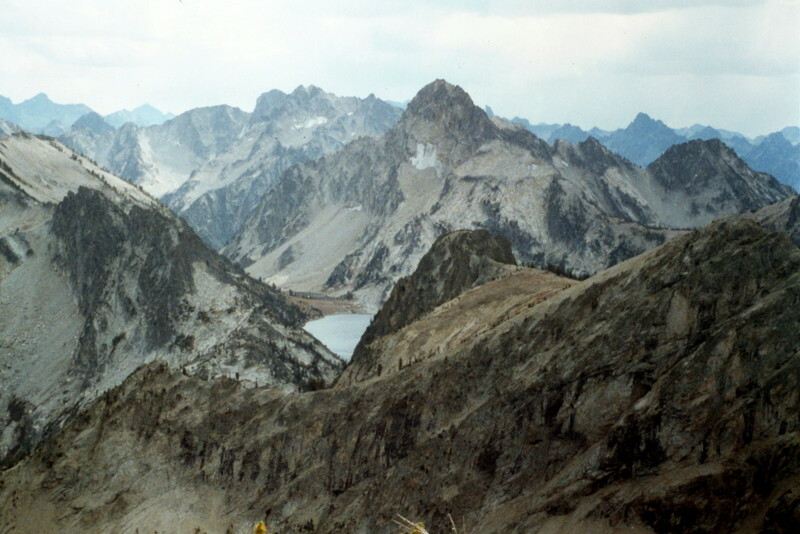 It is a peak that is highly visible from many other Sawtooth peaks. 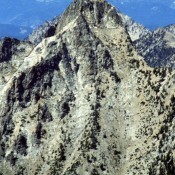 Below you will find a few photos showing the Southeast Ridge Route and a lot of shots of the peak from different vantage points. 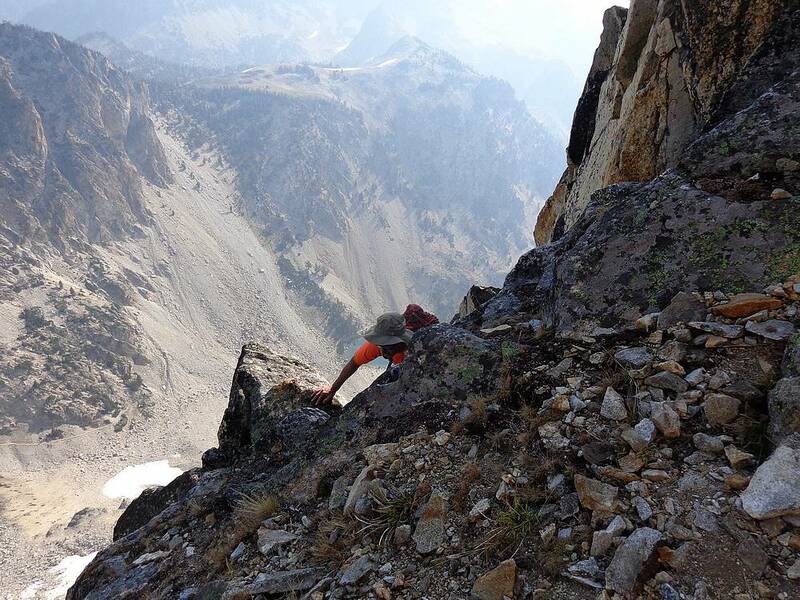 See Greg Parker’s trip report for the details. 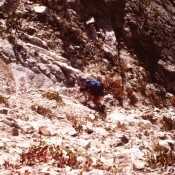 This was the route of the first ascent by the Underhills and Dave Williams. 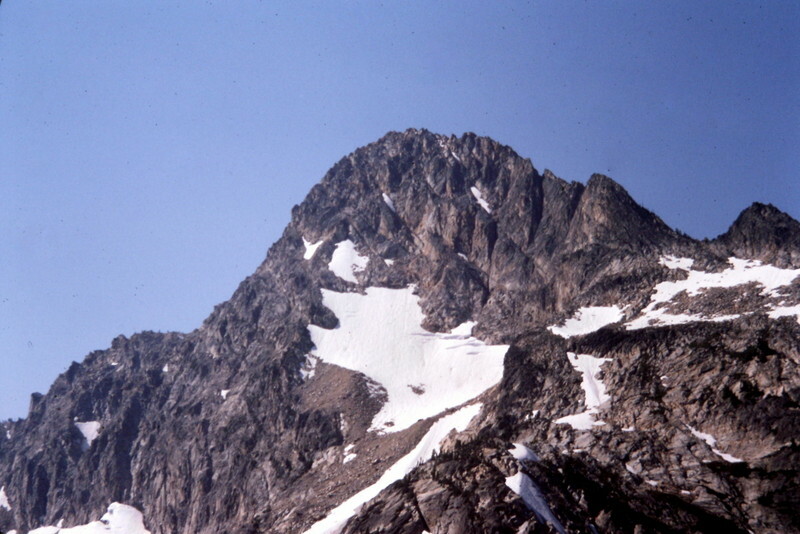 The following photos document the route. 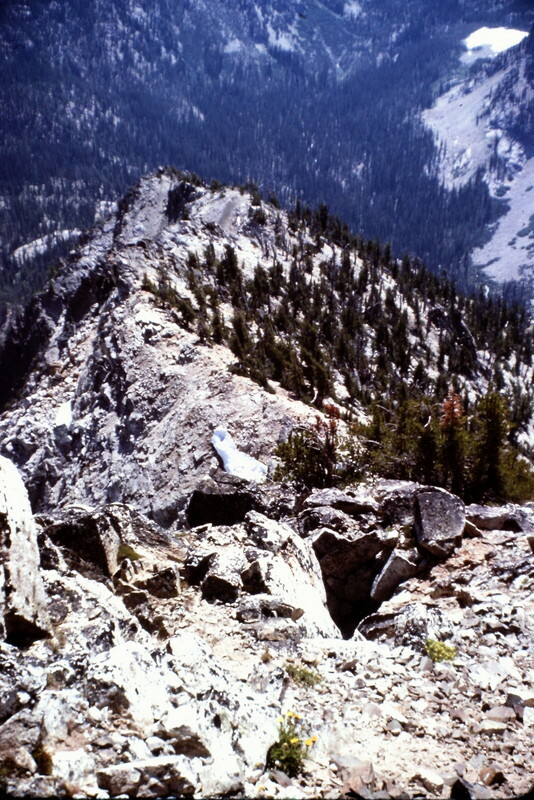 The approach crosses a lot of broken rock. 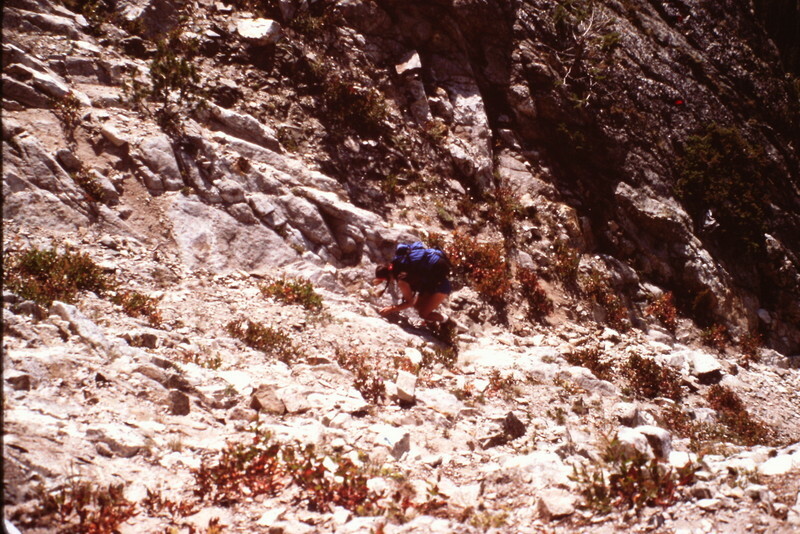 The climber is approaching a gully that leads to the top of the ridge. 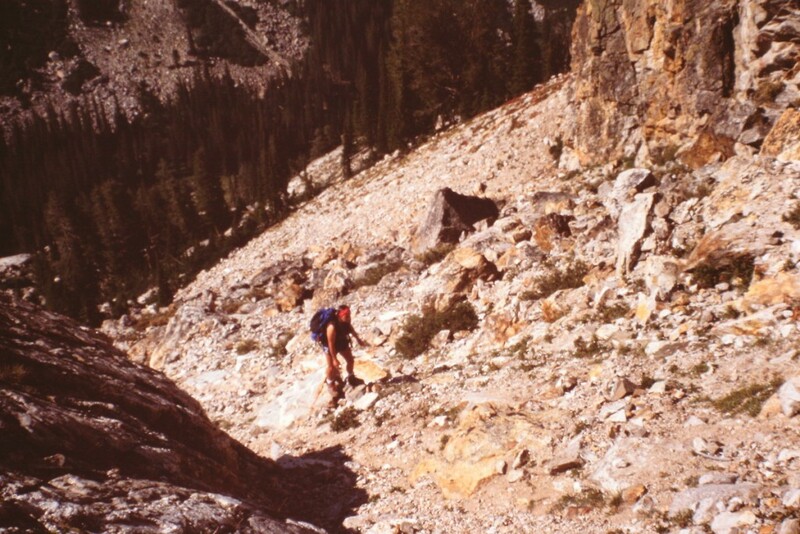 The ascent to the top of the peak’s southeast ridge crosses a steep talus littered slope. 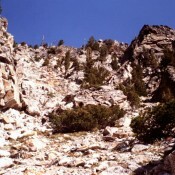 The talus slope eventually leads to the ridge top. 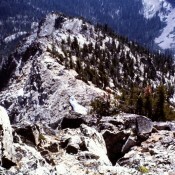 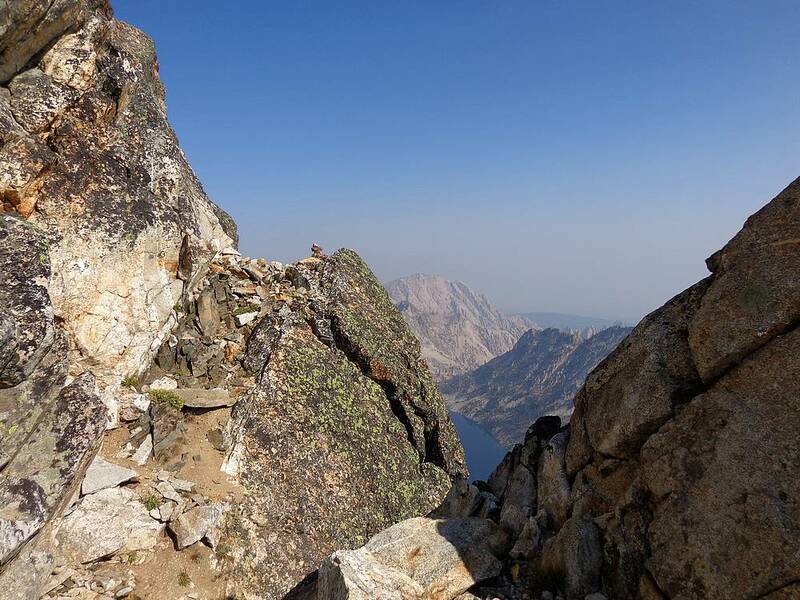 Once on the top of the ridge, the climbing is steep but does not encounter any significant obstacles until you reach the summit block. 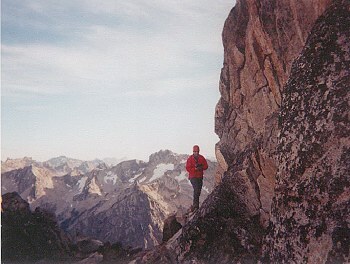 Once on top of the ridge the route is straight forward to the summit block. 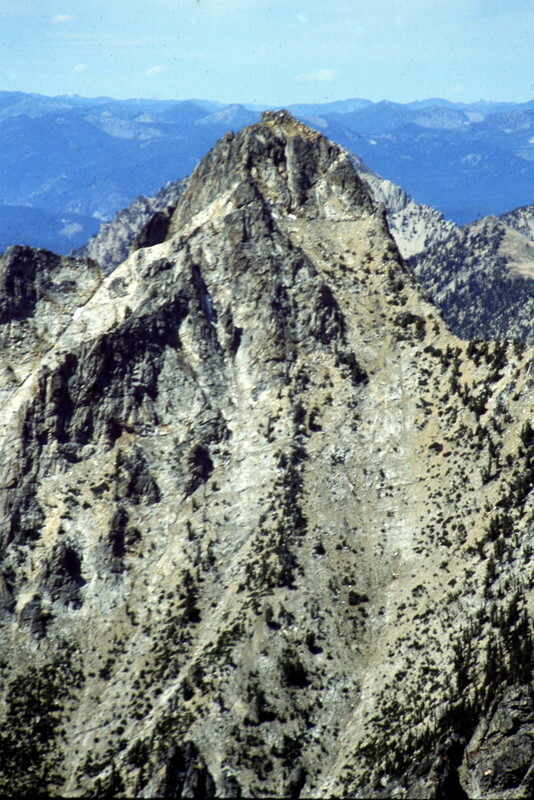 This shot shows the summit block’s east face. 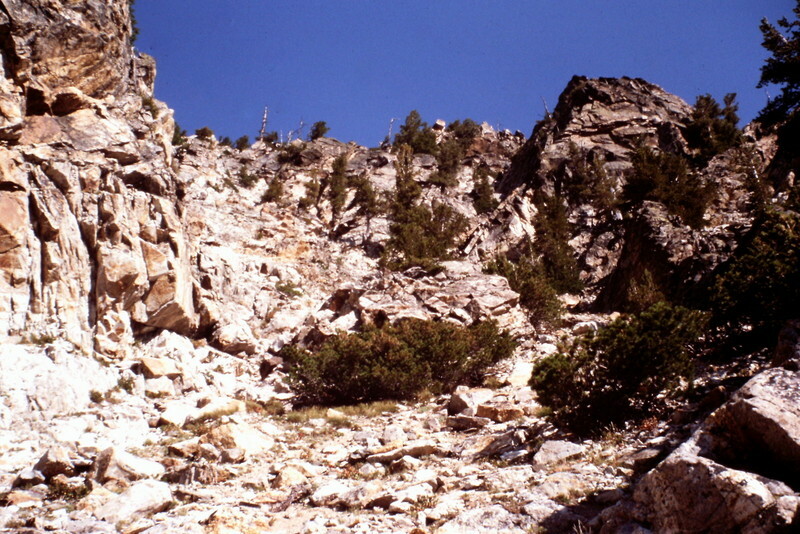 I will post more photos for this route as soon as I find them. 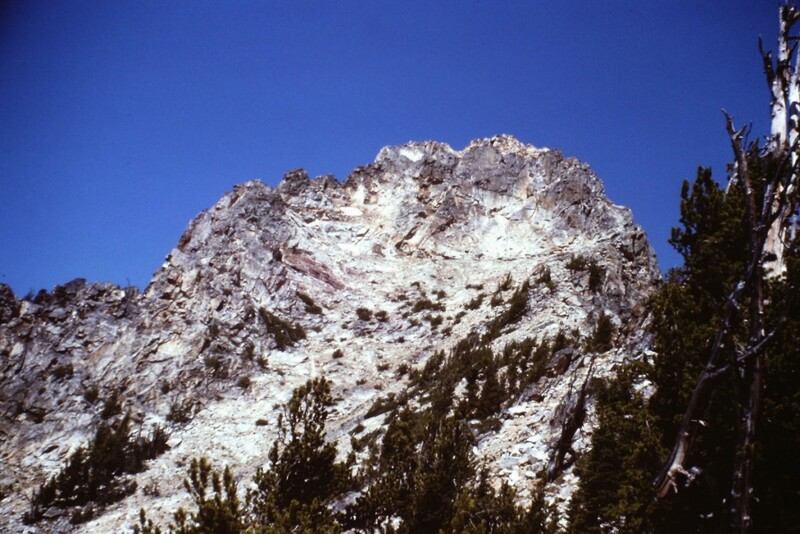 A photo tour of the many faces of Mount Regan. 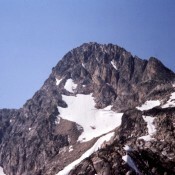 The upper north face of Mount Regan. 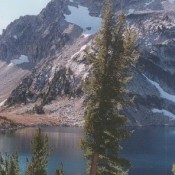 Party: Robert Underhill, Merriam Underhill and Dave Williams.